Plaid, velvet headbands and '80s airport chic - seriously, what's not to love? She might just be the biggest chameleon of our time. Not only in terms of her music, but her style has undoubtedly set trends and impacted the world of fashion every step of her career: From Material Girl to Evita and beyond. So, on her 60th birthday (which is today! ), I wanted to celebrate this legend's style by trying to copy it. I know, a Herculean task. 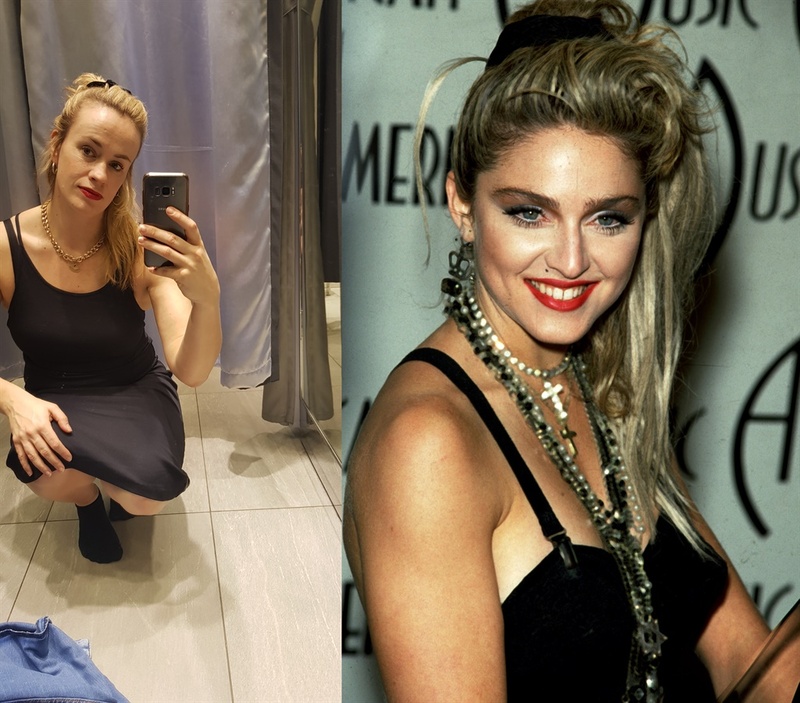 READ MORE: "I lived like Rachel Kolisi for a day"
The main thing for me was that Madonna's style is synonymous with the cone bra, hot pants, and showing lots and lots of skin. Be that on or off stage, this woman knows how to flaunt what she's got. She has been known to like checked fabric. 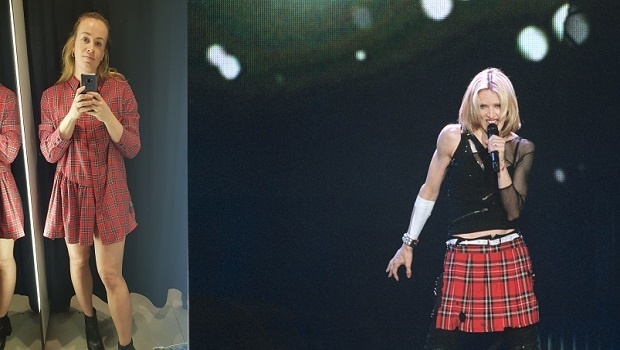 Madonna on tour in 2004. I basically just dressed as Madonna's skirt. 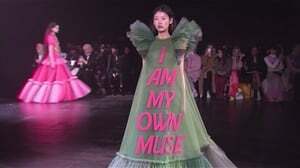 READ MORE: Optimism as a trend in fashion - are we wearing happy clothes to counter all the sads? Okay, so I knew she basically owned the frizzy eighties hair and scrunchie vibe. Black scrunchie, black dress, lots of jewels. But her larger than life headbands were (and continue to be) everything. 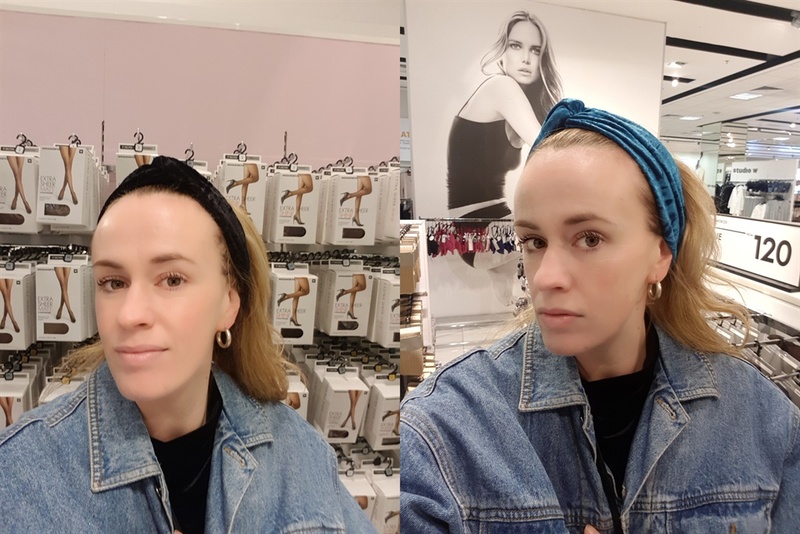 Woolies headbands in velvet, R79.99. Labelled as 'normcore' today, Madonna's blue jeans, white tee and leather jacket = the most classic of classic looks. Madonna in 1988 at JFK airport.